Adolph Geissler is pictured outside his store in 1925. Bob Rybick, the new president and CEO of Geissler’s Supermarkets, believes one of its strengths after 95 years of service to its Connecticut and Massachusetts customers is the retailer’s connection and commitment to each of the seven communities it serves. Rybick leads the family’s fourth generation that owns and operates Geissler’s, and he is not afraid to try new ideas. His vision for the family business includes creating an exciting, best-in-class market for its customers to shop. Rybick’s management philosophy includes creating an engaging culture that embraces outside-the-box thinking amongst the 550 full- and part-time associates who work in the retailer’s seven locations. Rybick grew up in the business, having left only to attend college, and returning immediately after earning his MBA from the University of Iowa. In 2008, he moved from assistant grocery manager in the South Windsor store to the office headquarters, becoming the buyer for center store and DSD. He later took on advertising responsibilities, and in the last two years began learning about operational and strategic management duties from his now retired uncle, Jim Nilsson Jr. Rybick serves on the legislative committee of the National Grocers Association (NGA) and is chair of the legislative committee of the Connecticut Food Association. Rybick also is a Certified Q Arabica Grader, licensed to evaluate coffee quality and profiles. Realizing the importance of meal convenience, Rybick spearheaded the creation of Geissler’s own Thyme Savour Meals brand and has increased value-added items like Gourmet Meals in the meat department, as well as meal kits. Other initiatives include expanding organic produce, gluten-free and natural offerings; showcasing local products; increasing grab-and-go items; and updating in store signage and displays. Rybick looks forward to future store remodels, including the expansion of prepared foods, a local cheese shop, a cafe, and pizza and BBQ smoked meats sections. While some supermarkets have eliminated individual butcher shops, Geissler’s has always prided itself on its meat department. The Granby School PTO collected receipts, and Geissler’s donated a $100,000 check. “We want real butchers who know how to cut meat but who can also tell the customer how to cook it,” said former Geissler’s President Jim Nilsson Jr.
Geissler’s has carved out a successful niche by focusing on what it feels are the core qualities of a supermarket. This includes its employees and offering premium customer service. Geissler’s says its commitment to this is highlighted by its willingness to fulfill special orders. The grocer also supports a School Receipts Program through which it donates an annual sum of money to a school education fund or PTO. 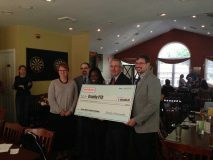 The Granby store has donated $100,000 to Granby Public Schools since the start of the program. The original store opened Broadbrook, Connecticut, in 1923. 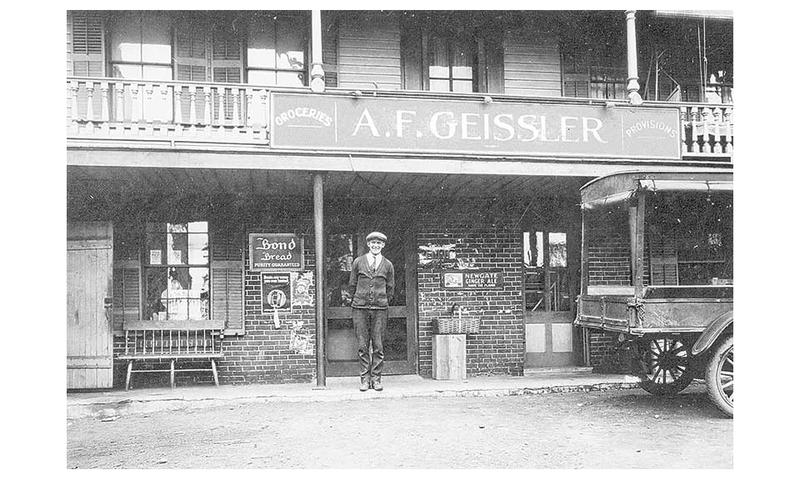 This year, Geissler’s is celebrating its 95th year as a New England independent grocer with a history of success and growth as a family-owned business. Geissler’s continues to embed itself in each of the seven communities it serves—Granby, East Windsor, South Windsor, Windsor, Bloomfield, Somers, Connecticut and Agawam, Massachusetts—offering the same quality service and food that has been its reputation for almost a century. 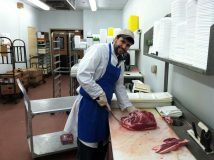 Ryan Nilsson began working as a meat cutter for Geissler’s in 2004. He also has experience as a cashier, bookkeeper, meat buyer and front end manager. Nilsson says this is a time of change in the industry, moving from a center-store focus to more emphasis on perishables, fresh foods and meal kits. He believes Geissler’s has flourished because of a dedicated, talented staff that has stayed with the company for many years. In the meat department, Nilsson cites several employees who have worked at Geissler’s for more than 30 years who are customer-centered, cutting meat to customers’ specifications. Nilsson also notes that Geissler’s is a small business that is flexible and makes good business decisions with “no corporate red tape.” He also credits some of the company’s success to its many family connections in each of the communities it serves. Formerly the HBC-GM buyer and Somers’ store manager, Eric Nilsson is now the DSD buyer. 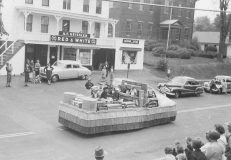 Before coming to Geissler’s, he worked for Nabisco for two years. He has worked for Geissler’s for nearly nine years, and his different management positions have included grocery manager and store manager. Nilsson’s outlook for the company is continued growth, a continued focus on customer service, and a readiness to work with communities. Nilsson sees more growth and sales opportunities with prepared foods, deli, catering, meat and produce, HBC-GM and expanded local and organic offerings. Just in HBC-GM, nutrition bars continue to evolve with new introductions and product launches. With his new responsibilities as DSD buyer, Nilsson will be in the stores on a regular basis, with his immediate goal to prevent out of stocks. What makes Geissler’s special? Nilsson believes Geissler’s has thrived on taking care of the customer, and it starts with the store manager. “The store manager is constantly on the floor, seeing people, answering their questions, seeing what they want. The store manager and many staff members know many of the customers by first name, and that means a lot to people,” he said. Dan Nilsson, VP and current buyer of deli, seafood and meat, has worked for Geissler’s since he was 14 years old. He started full-time in 1978. In his more than 40 years with the company, he has served as assistant grocery manager, meat cutter, meat manager and now VP and buyer. He sees Geissler’s transitioning from a conventional supermarket to one that includes more perishables as well as more organic and natural products. So far, Geissler’s customers have responded well to the Geissler’s meal kits and, in particular, the slow cooker kits. Nilsson believes Geissler’s is poised to progress in the future based on how it treats and listens to its customers, its staff, and its continuation of a reasonably priced program. “We are extremely excited the fourth generation is here. They have some different ideas and outlooks, and they aren’t afraid to try some out-of-the-box thinking,” said Nilsson.